Circa 1830. 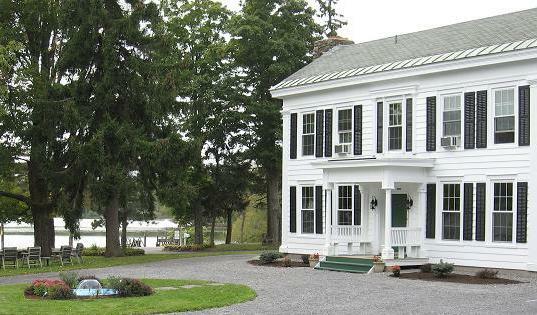 Relax in the casual elegance of this historic, Federal-style B&B in Mariaville, New York. Boasting waterfront views and 250 acres of walking or hiking trails, nature lovers can revel in the great outdoors while enjoying the close proximity to Schenectady and Albany. 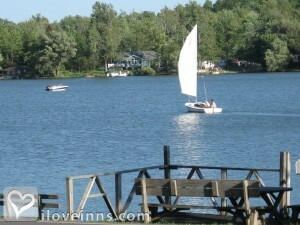 The dock is convenient for swimming, fishing and canoeing the huge lake. 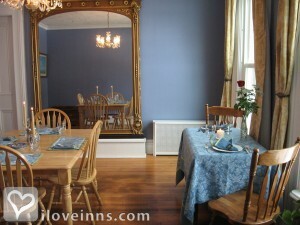 Mariaville Lake Bed & Breakfast has a common room with a marble fireplace. 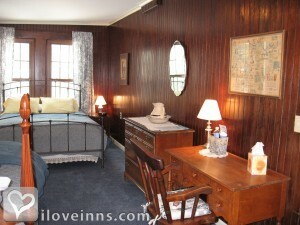 Inviting accommodations include antique-furnished guest rooms, a suite and a carriage house. 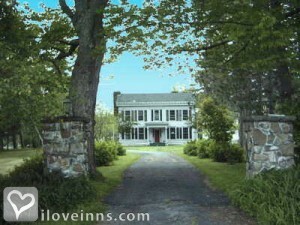 Linger over a delightful breakfast served in the formal dining room or on the three-season glassed-in porch. A different entr�e is prepared every morning. Seasonal festivals are popular in this scenic area. Ask about specials and packages offered. Payment Types Accepted Include Master Card, Discover, Visa, Personal Checks, Travelers Checks and Cash. This property has 5 total guest accommodations with private bath, 1 with fireplace, 1 two-bedroom suite, 1 cottage and 1 guest house. The types of beds available include Twin and Queen. A deposit of 50% is required by credit card or check in advance of your stay and will be refunded if notice of cancellation is received more than 14 days in advance of your stay minus a $25 cancellation fee. If notice is fewer than 14 days, your deposit is refundable only if the room can be re-booked. There is a two-night minimum on certain week-ends. Call for details. My expectations and what was delivered were in two different worlds. 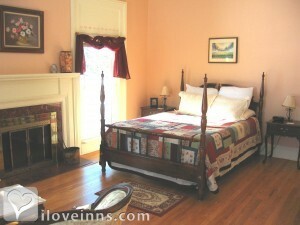 Rick and Lorrie demonstrate excellently what a traditional B&B is supposed to feel like. Extremely cordial hosts, welcoming room, inspiring eclectic decoration, soul filling breakfast, serene location, and most importantly value for money. I wouldn't want to stay in a hotel again. Look forward to staying here again with all family members. Ample number of rooms, each looking unique in its own way. the private dock on the lake and the lawn is something we die for in the city. The best I have felt about any stay. Strongly recommend this place. Cozy, warm fall night under the comforter after sipping wine by the fire. Amazing food and wonderful hosts. Thank you so much! Great stay. Food was superb. Hosts were terrific. Will have to find a reason to return. 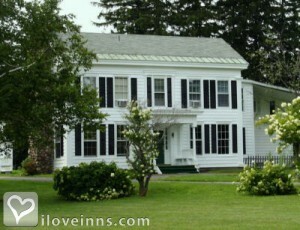 We have stayed at many B&Bs over the years but we put your amazing inn at the top of our most wonderful stays. From the most comfortable bed we have ever slept tin to the delicious gourmet breakfasts this will always be one of our favorite memories. And the lake Oh my! Thank you for taking us in at a moment's notice! It is a lovely place and your hospitality was top notch.Thanks also for the lemon balm for my tea. I finally caught a nice fish! right off your dock. Love this place. This is a wonderful spot! The location is beautiful, the rooms charming, the breakfast delicious...but best of all, the hosts were friendly, genuine, accommodating...far and away the nicest couple in any bed and breakfast we've stayed in (and we've stayed in quite a few!) And, don't pass up the hike in the woods to see the most amazing beaver dam we've ever seen! Great stay at this lovely inn! We only had one night at this great inn but hope to return in the future. 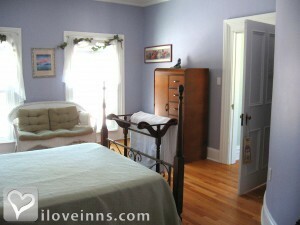 The room was charming and impeccably clean. 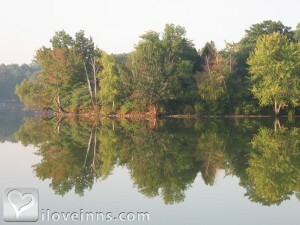 Rick and Laurie were welcoming, friendly and knowledgeable about the area while still allowing us space to ourselves. We enjoyed a hearty, plentiful breakfast before heading off to our next adventure. 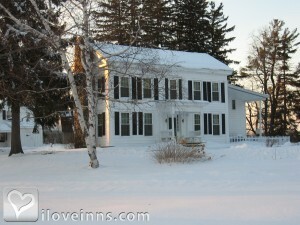 We had a great time during our weekend stay at Mariaville Bed and Breakfast! 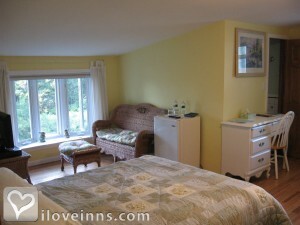 The hosts are very friendly and welcoming, and the rooms are beautiful! We will definitely return!